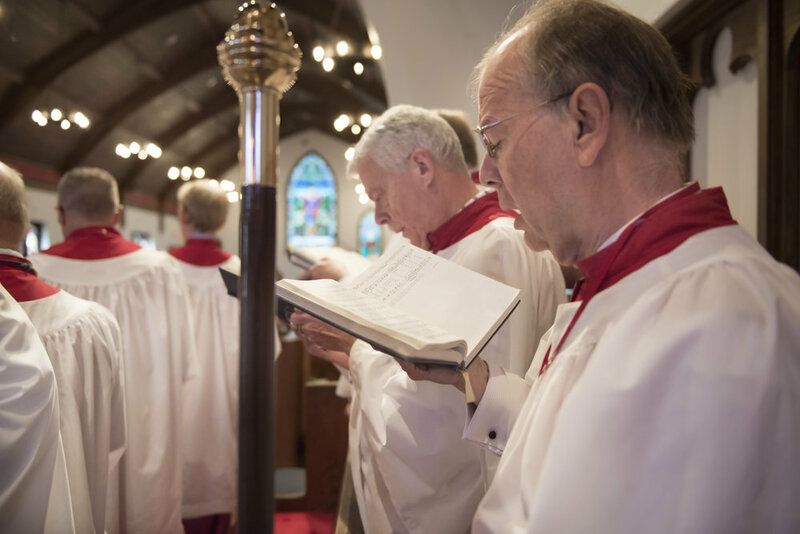 The Calvary Adult Choir leads hymns, service music, and sings an anthem at most 10:30 a.m. Sunday morning services as well as at other special services. 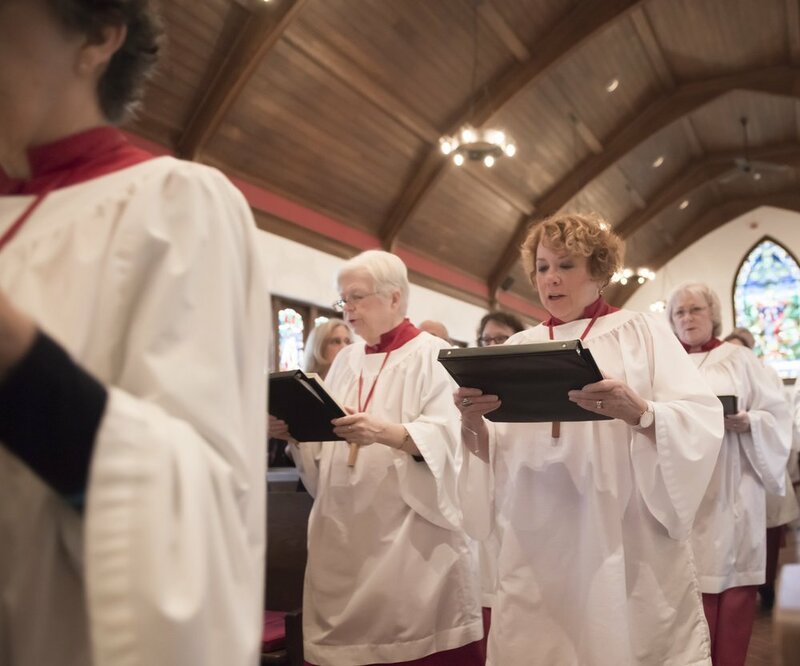 Rehearsals are on Wednesday evenings at 7:15 p.m. and Sunday mornings at 9:45 a.m. We are always looking for more singers – experience is not required! The Children’s Choir is looking for participants so it can become active again. This group is open to children & youth ages 5 and up. Instrumental Music – From time to time soloists or groups play during the 10:30 a.m. church service. This is an opportunity to share your musical gifts to enhance worship. When Calvary’s current organist, Philip Dettra, arrived at Calvary in early 1990, the church had a fund raiser to purchase a new pipe organ. We were able to raise the funds to acquire a 2-manual, 23-rank pipe organ from the renowned Holtkamp Organ Company of Cleveland, Ohio. Calvary carried out significant renovations in preparation for the organ, including improvements to the acoustics by removing the nave carpet and putting down the pavers that exist today. Pipe organs last virtually forever with maintenance, but all of them have leather and other parts which have to be replaced. In order to preform maintenance, all 1,800 pipes will be removed from the pipe chamber. In the summer of 2018, Holtkamp will be addressing some acoustical problems and scaling up the foundation stops at the factory in Cleveland. This should give the organ a warmer and fuller sound and also help to push the sound through the arch. Our goal is to better support congregational singing and to enhance the worship service. The Bible more than encourages us to make a joyful noise, and use instruments. As we look forward to a period of growth and service to the community at large, we also look forward to the contributions our music program will continue to make.